The World According To Lexi: Could it be? Does Nitro Remind You of Pete On The Little Rascals? Could it be? 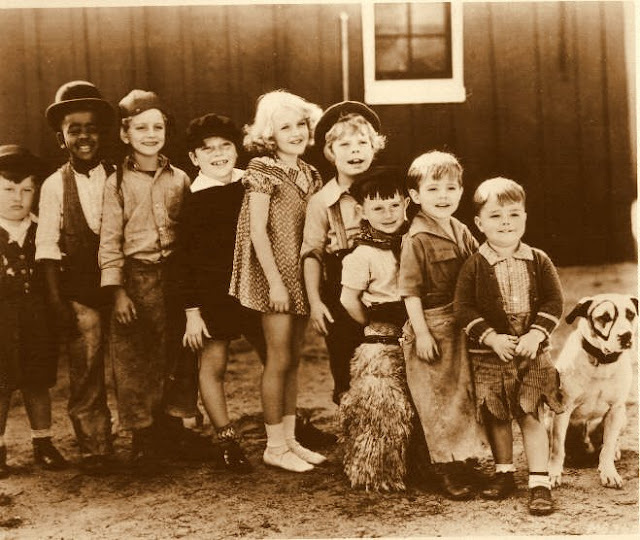 Does Nitro Remind You of Pete On The Little Rascals? 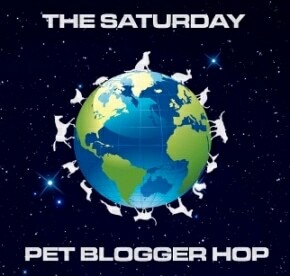 Were excited to participate in this week's Saturday Pet Blogger Hop! Thanks to our Pet Blog Hop hosts, Life With Dogs, Two Little Cavaliers, and Confessions of the Plume. According to Lexi, she wishes you all Happy Hopping! Whenever my boxer pup Nitro and I go anywhere the first thing people say to us is "Oh my gosh, it's Pete from the Little Rascals." Looking back at these old movie clips of Pete I can see now what folks are talking about. Nitro does resemble Pete although Nitro is a Boxer and Pete is one of the first Pit Bull Terriers registered with the AKC in the 1930's. I think the biggest trait they have in common is Pete was fully trained by hand signals just like the hand signals Nitro is learning now (Nitro is 100% deaf). Pete could hear but they needed to train him with hand signals so his commands could not be heard on the audio of those old movie tracks. 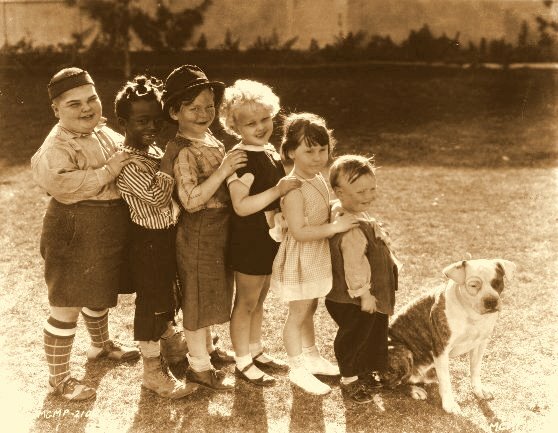 Here is an old Little Rascals clip of "Pet the Pup In Our Gang helping the kids" video I found on YouTube. I will also put a photo of Nitro and Pete under the clip. What do you all think? Do they look alike ? *** Smile Alert! ~ This is the best 7 minutes of all the Little Rascals you will ever see. According to Lexi, these clips will put a smile on your face. Pete's real name was "Pal," and he was owned and trained by Harry Lucenary. The distinctive circle around his eye was originally unplanned. 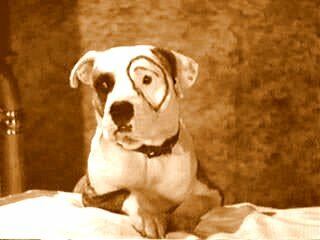 When the spunky pit bull made his "Our Gang" debut, a circle had been painted around his eye and would not come off. I think he looks like the dog from the newer Little Rascals - he sure is cute! Yes! He most definitely does :) Nitro is so handsome :) Thanks for the cool trivia about Pete - I had no idea! We could look at photos of Nitro all day! He's much more handsome than Pete. They do kinda look alike... No matter who he looks like, he's adorable! There's definitely a resemblence. I love Nitro's markings. He has lots of character. I hope you all have a great weekend!! I thin Nitro is cuter than Pete!